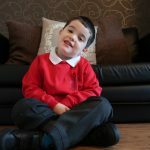 Penwizard create personalised books where your child is the star between the pages alongside their favourite characters. The books are customised with your child’s name as well as illustrations of them as a character. 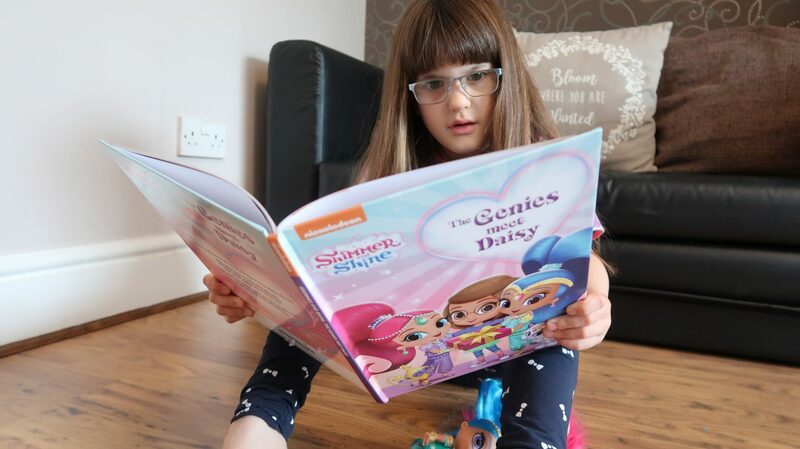 They recently sent Daisy a Shimmer and Shine book to review, ‘The Genies meet Daisy’ she was very excited when it arrived. Ordering the book you want is quick and simple. The user-friendly website is super easy to navigate, the hardest part is choosing from the many fun characters and stories available. 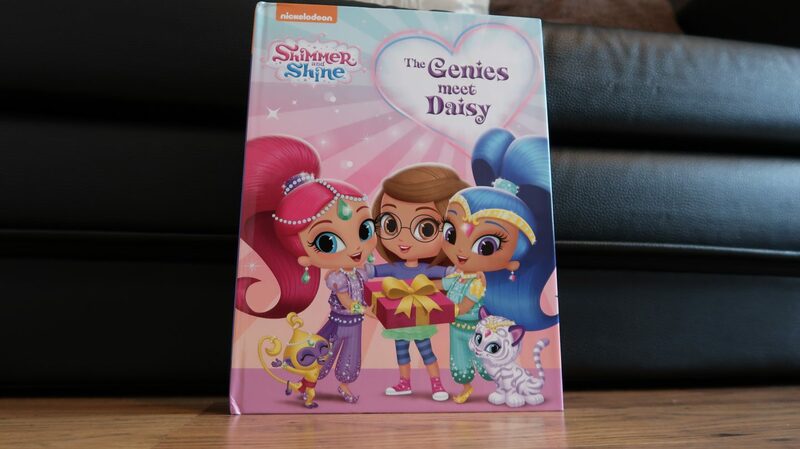 Daisy adores Shimmer and Shine so I knew she would love to go on her own adventure with them. I chose a large hardback version of the book for Daisy, there is also the option of a large softback if you prefer. On the personalisation page you fill in the details of your child like their name, birthday and where they live, this will be featured in the book. After that you customise a character to make it look like your child. There’s options like hair colour and style, eye colour, skin colour and more. I was so pleased to see a glasses option included for Daisy. Once you’ve entered all your child’s details you can preview their character before ordering, I think this a great idea as you can get the likeness to your child just right. Once you’re done it’s time to finish, pay and then wait for your book to arrive. When you order you will notice an estimated dispatch date, you can also check the status of your order at any time by logging into your account. 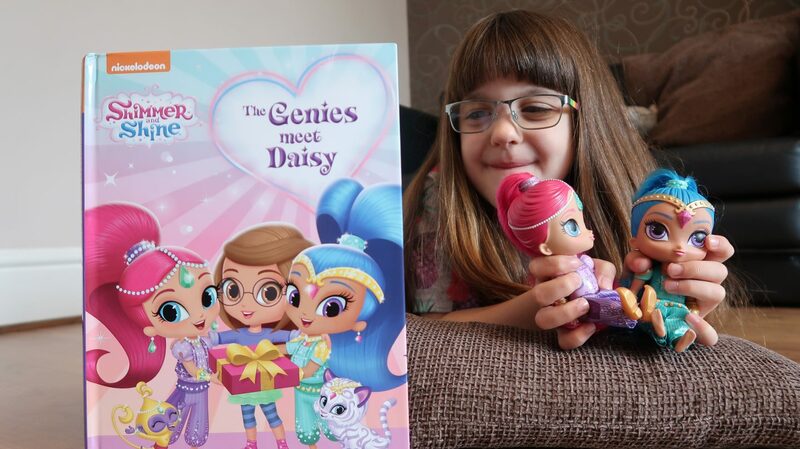 Daisy was surprised when a package arrived for her, she noticed the picture on the front first and said ‘that looks like me !’ She then read the title of the book and was amazed. She has had personalised books before but none that actually have her in them as a character. 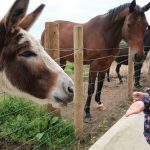 It wasn’t long before she was engrossed in the pages, commenting that her birthday was inside and that the genies were actually coming to visit her. The story really captured her imagination. I was really impressed with the quality of the book. The pages are nice and thick and the print is clear and very colourful. 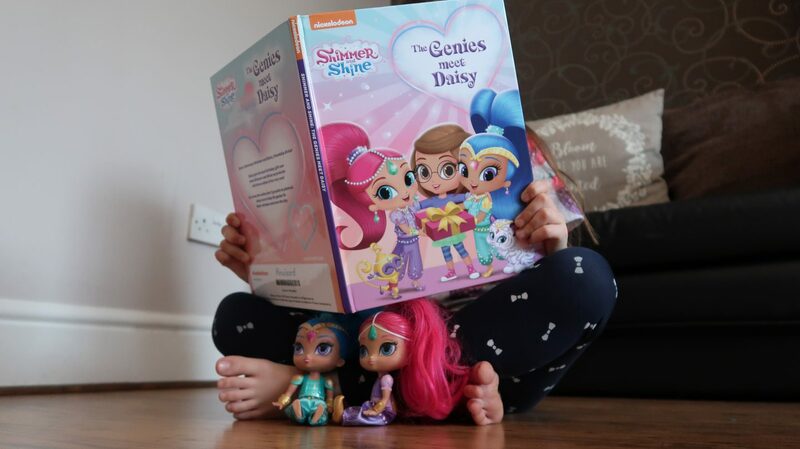 The text was easy for Daisy to read and she loved going on an adventure with Shimmer and Shine, she slept with the book under her pillow that night. Penwizard books make great gifts, they even sell personalised Birthday and Christmas books too. 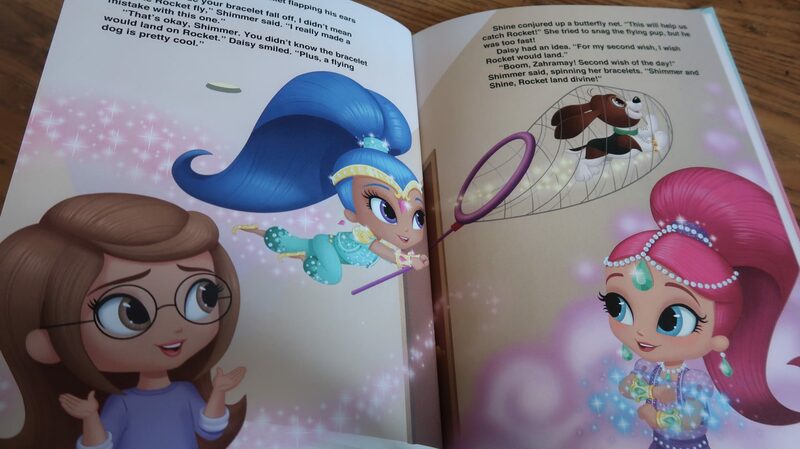 They definitely offer more than other personalised books by making your child into a character. 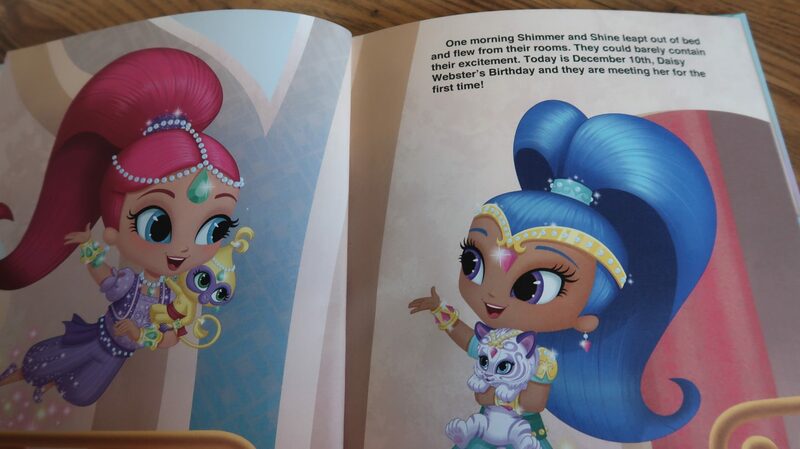 The hardback and softback copy of Shimmer and Shine, ‘The Genies meet your child’ is available to order now in the UK, the US and Australia. You can save 10% on any order you place using the code SHIMMER10 at the checkout. 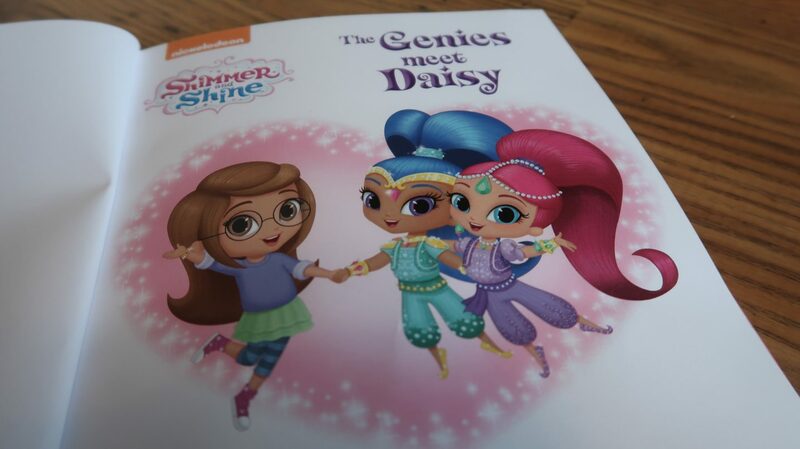 Disclosure: We were sent ‘The Genies meet Daisy’ book from Penwizard free of charge for the purpose of review. All opinions are my own.